Matthew on X Factor Italy: behind the scenes interviews! Matthew answers some questions behind the scenes of X Factor Italy for Simona Ventura TV. Matthew performs on X Factor Italia: watch the performance! Full video of Matt’s amazing performance of “It Don’t Mean A Thing” on X Factor Italia (November 21). Matthew performs at the MDA Show of Strength: video! 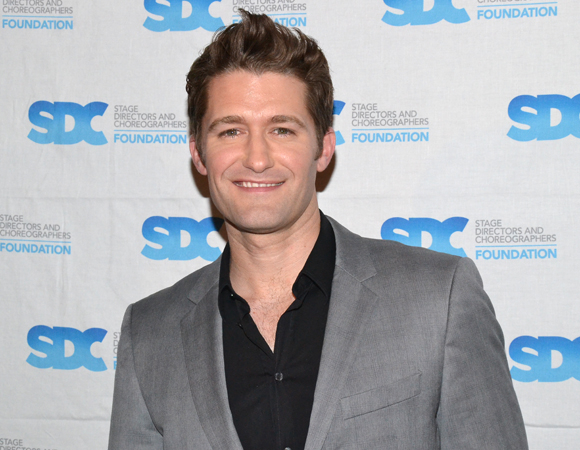 Matthew Morrison performs “On The Street Where You Live” on Kathie Lee and Hoda – video! Matthew performs “On The Street Where You Live” on Kathie Lee and Hoda in this taped clip from June 4, 2013. Matthew performs at the Sayers Club – HQ pictures! HQ pictures of Matthew’s performance at the Sayers Club in LA (June 12). Matthew performs on The Tonight Show with Jay Leno: watch!